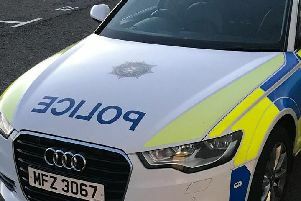 Police are appealing for witness after four burglaries at residential properties in the Glengormley are on Sunday. The break-ins are reported to have occurred sometime between 1pm and 9pm. Detective Constable Montgomery said: “A number of items of jewellery was stolen during these incidents. Police went on to urge householders to take measures to protect their property. DC Montgomery said: “Please ensure that all houses, sheds and garages are secured, particularly during the hours of darkness. “Do not keep valuables or large amounts of cash in your home, and remember, safes are able to be removed. “Do not leave any tools/ladders outside which can be used to access your property. Do not answer the door during the hours of darkness unless you are expecting someone or you have a security latch and can check identity first. “Keep an eye on your property and please report to the police any suspicious callers or vehicles. This includes cold callers or services being offered at inflated prices. If you would like further advice on home security you can contact your local Crime Prevention Officer on 101. Any suspicious activity/concerns, the PSNI added, should be reported to 101 and in the case of an emergency call 999.